People who’ve learnt CPR know how important it is to be prepared in an emergency. When moments matter, having the knowledge and skills to act can save or restore someone’s life and prevent you from wondering – what if? Quick quiz: You discover a co-worker on the ground in the breakroom and s/he is unresponsive. What do you do next? Did you remember the correct answer is to call for help first (answer choice C)? When you’re the first on the scene in a life and death situation, there is a lot to remember. Reviewing your CPR knowledge and skills regularly is almost as important as taking a CPR class in the first place. Quick Quiz: What does CAB stand for in CPR? In 2010, the longtime focus on administering rescue breaths first was changed to prioritize chest compressions. The “ABCs” of CPR became “CAB” which stands for Chest Compressions, Airway Open, Breathing for Patient (answer B). Emergency protocols are updated regularly to ensure they are as effective as possible. 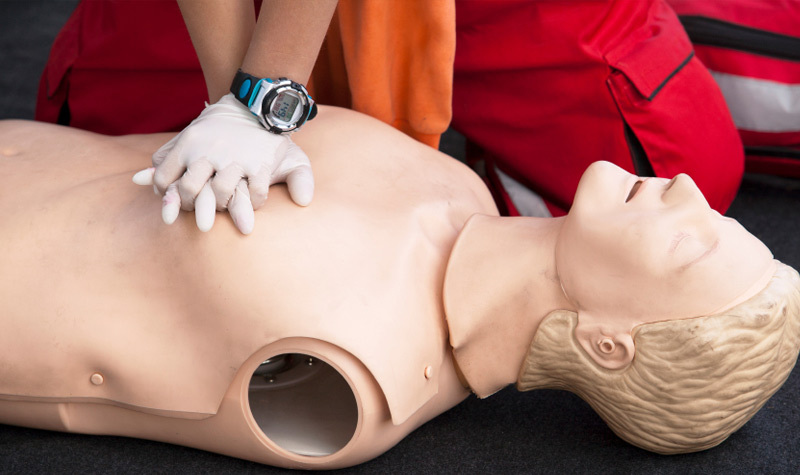 A CPR refresher course can bring your skills up to date. Quick Quiz: When providing rescue breaths, you notice the victim’s chest does not rise and fall. What do you do next? Are you confident in your answer? A CPR refresher class can reinforce your lifesaving skills and knowledge – giving you the confidence to provide assistance if needed. The correct answer is A. 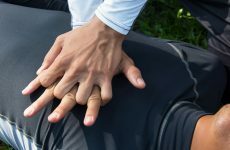 Quick Quiz: True or False – when administering chest compressions, you should lock your elbows. 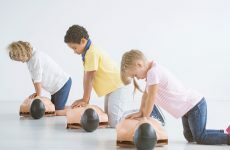 CPR is a critical lifesaving skill. It’s also a motor skill that can diminish over time. The correct answer is True. Chest compressions should be performed with two hands, locked elbows and directly over the victim’s chest. Aim for a compression that is two inches deep – but never practice on a real person. In a refresher course, your instructor will provide a training mannequin designed specifically for CPR practice. How did you do? If your skills could use a brush-up, use the course finder on the Emergency First Response (EFR) website to find CPR classes near you. 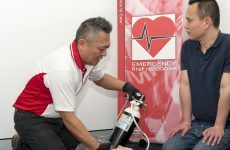 If you completed your initial CPR certification with EFR, your student manual and/or DVD are a helpful way to refresh your knowledge between skill training sessions.